The D2002HPV5 is outfitted with trusted components like the “Square D” pressure switch and metal intake manual overload protection for longer life and ball bearings for greater durability. ROLAIR Quality, Heavy Duty, Single Stage, Ball Bearings, Cast-Iron Cylinder, Metal Filter/Silencer with Replaceable Filter Element, Stainless-Steel Reed Valves and Splash Lubrication Ensure Longer Life. 2 HP, 3400 RPM, S-1 Rated for Continuous Duty, Low Amp Draw, Overload Protection with Manual Reset, 115 Volt, 60 Hz, Heavy-Duty/Industrial-Grade with Ball Bearings for Greater Durability. PUMP OIL CAPACITY 12 oz. L x W x H 18"x16"x17"
We invite you to shop online with confidence at the following Rolair dealers. 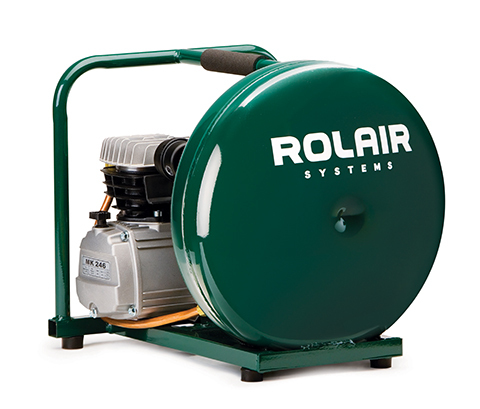 Each Rolair online dealer is verified to provide a secure shopping experience, offering the most complete selection of Rolair compressors and accessories. © 2019 Rolair Systems. All Rights Reserved.